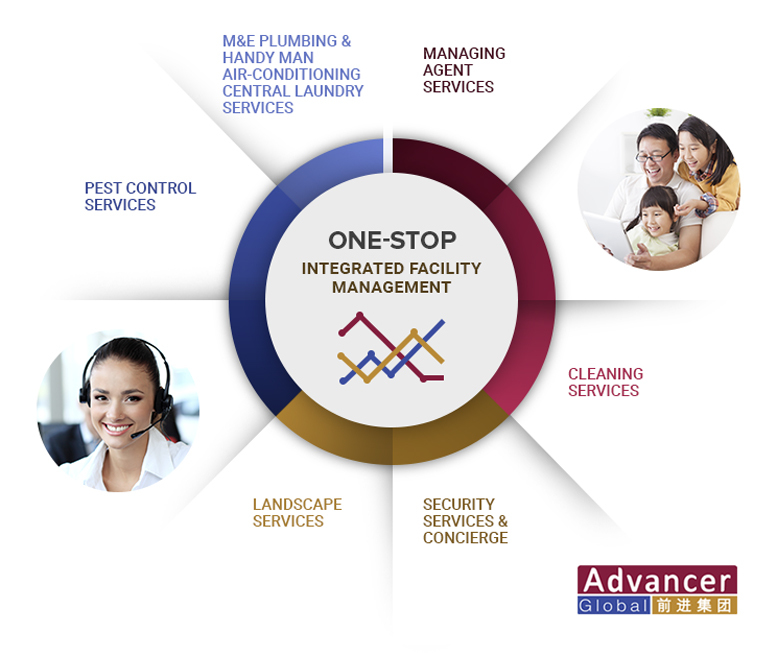 We provide one stop In-House facility services to our client. Besides cleaning services, we also provide pest control, security, landscaping and maintenance services. With all of your services under one contract and management team, we can streamline communication and make day-to-day operations easier to manage. Below are some of the benefits of IFM. 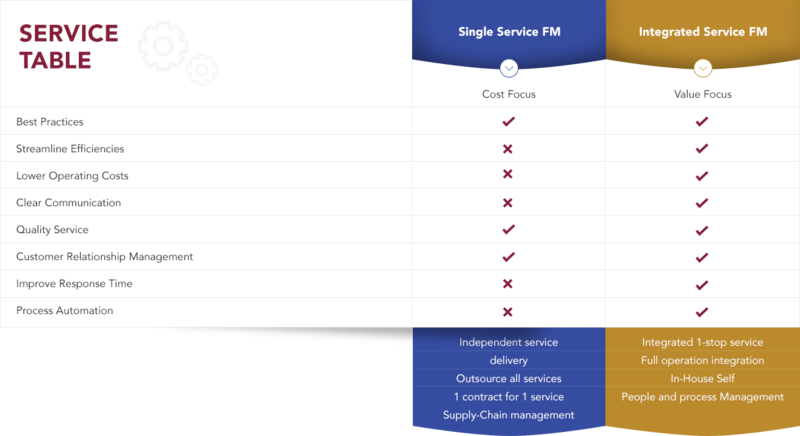 Using a single IFM provider allows clients to reduce the additional costs associated with multiple service providers and simplifying overall management. Clients can reduce the costs of associated with staffing, overhead, quality control, inefficiency and in-economics of scale and quality control. The synergy comes from our ability to integrate services and optimise delivery systems. We provide the necessary equipment and resources, including well-trained manpower, to get the job done well for all facility services. WHAT IS INTERGRATED FACILITY MANAGEMENT? add by integrating people, place, process, services and technology together.